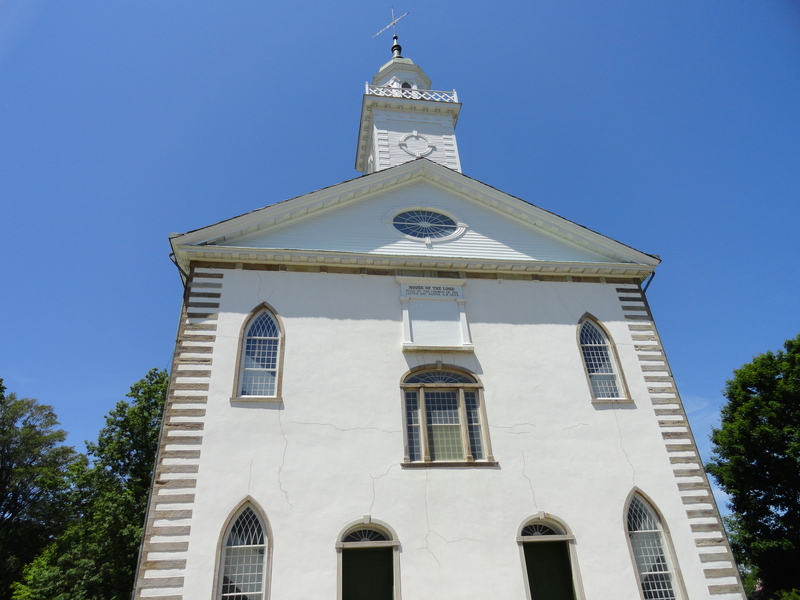 For a group of photos of the Kirtland Temple, go here. Mormonism began in 1830 in a sleepy township in upstate New York. After Mormon missionaries realized great success gaining converts in Ohio, the religion’s founder, Joseph Smith, moved his fledgling church 250 miles west to the little town of Kirtland. Within months, Joseph sent a number of Church members farther west to Missouri to begin to establish the Church there as well. Though this division of resources resulted in two centers of Mormon activity, the LDS Church headquarters remained in Ohio. With few laborers and little money in Kirtland, the Mormons completed their first temple in 1836. Just two years later the Mormons abandoned their homes and their temple and moved west to Missouri. “After developing a thriving community in Kirtland, Ohio, in the early and mid-1830s, violence against the Church escalated to the point that it was no longer safe for members to remain. Many in the Church grew disillusioned with Smith’s leadership. Heber Kimball, an LDS apostle at the time, wrote that “there were not twenty persons on earth that would declare that Joseph Smith was a prophet of God” (No Man Knows My History, 203). While Joseph was away from Kirtland for five weeks, David Whitmer, Martin Harris, and Oliver Cowdery, the three witnesses of the Book of Mormon, pledged their loyalty to a young girl with a black stone who claimed to be a prophetess. The Church in Ohio was crumbling. LDS Church members with financial resources pulled up stakes and moved west to Missouri, escaping from the financial crash of Kirtland. Those who stayed faced further distress. Church dissenters brawled with faithful Saints in the temple; more lawsuits were brought to bear against Church leaders, causing them to flee to Missouri; and a new church was formed by disenchanted Mormons. Due to the bank failure and the chaos that followed, Joseph was “exiled by his own disciples” (No Man Knows My History, 208). When he learned of yet another warrant for his arrest in January 1838, Joseph left Kirtland for Missouri under cover of night, never to return. Church members who were still in Ohio began to make plans to join the Saints in Missouri as well. “Joseph’s going had left a void that they had found intolerable. With each passing week they remembered less of their prophet’s financial ineptitude and more of his genial warmth and his magnetic presence in the pulpit. To what the Church News was referring when it said, “violence against the Church escalated to the point that it was no longer safe for members to remain,” is a mystery; for that was not the case. Joseph Smith left Kirtland because of financial and legal troubles while current and former members of the Church were floundering in their faith in Joseph as a true prophet. The majority of members eventually left Kirtland because their faith returned and they wanted to be near their prophet, not because their lives were in danger. The Church News gave the distinct impression that the Mormons were driven from their homes in Ohio, fleeing for their very lives. The article’s implication was that non-Mormons had persecuted the Saints to the point of grave physical danger and loss. The unvarnished truth, that Joseph Smith’s poor decisions brought financial ruin and spiritual desolation to his people, may not be pretty; but it’s honest. Instead of telling the truth or choosing not to mention that period in LDS history at all, the Church News put tremendous spin on the story, laying blame on the innocent while manipulating sympathy for the guilty. Unfortunately, history has shown this technique to be commonplace within Mormonism. For more on the Kirtland Safety Society bank failure, see here.